Being a homeowner comes with a lot of financial responsibility and can make a novice think they’re a home repair guru when problems arise. Got a leaky faucet? Watch an online video tutorial on how to fix it! Need your gutters cleaned? Rent a ladder and get to it! While some aspects of our home can do with a little elbow grease, it’s possible to sometimes overestimate our ability to care for our long-term investments. 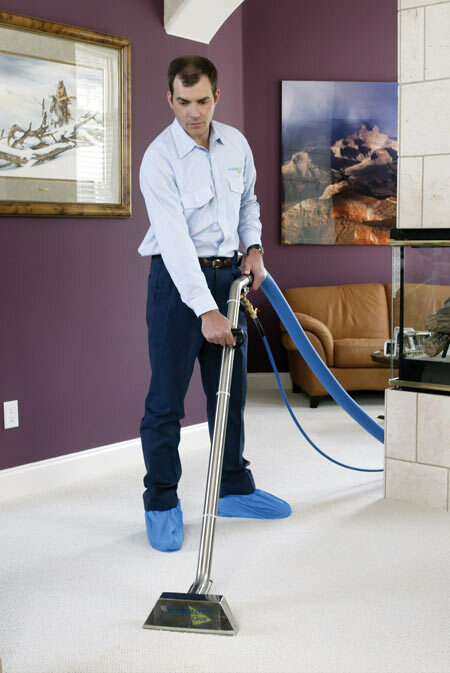 When it comes to your carpets, you should never clean them yourself with rented equipment. At-home units may work for spot carpet cleaning, but they are not powerful enough to get the whole job done correctly and effectively. At-home carpet cleaning tools leave behind a soapy residue, which will actually attract more soil over time. Lingering moisture in your carpet allows soil to move through the carpet fibers so that stains you thought were removed will come back as the carpet fully dries. This moisture also creates the potential for mold to find a new home if the carpets are not dried properly after cleaning. There is a considerable difference in power and suction from standard rental equipment in comparison to our professional carpet cleaning equipment. We guarantee a complete clean and will extract all moisture once the job is complete; protecting your carpet from returning stains and mold growth. Being a do-it-yourselfer is something to be proud of, but when it carpets it’s not about your skills as a homeowner, it’s about having the right equipment, tools, and training. Let ServiceMaster Cleaning & Restoration Services clean your carpets and floors in Somerset County, New Jersey or the central New Jersey area and we’ll guarantee a spotless clean.